In 2013, after a successful career as an investment professional and C-level operations executive, the founding Partner of Clavis recognized that there was a better model and approach to Private Equity and set out to build a different kind of investment firm – one that was more focused on the operators, on the longer term and on deploying capital in the most flexible and effective manner possible. Today, Clavis Capital Partners is a team of operating and investment professionals and a network of operations experts who are experienced and passionate about building sustainable, competitive and successful industrial businesses. We focus on investments in under-resourced, lower to middle-market businesses with enterprise values between $25 million and $200 million. 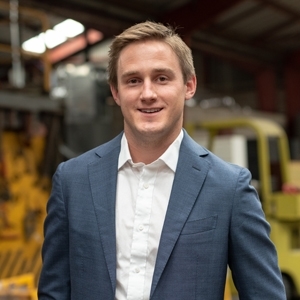 Each of our principals and advisors have significant, direct experience in successfully running and managing businesses across a range of manufacturing and industrial service sectors. Since 1994, our principals have completed over 50 transactions representing over $1.5 billion of equity deployed. Our financial investors share our vision for a new style of Private Equity investing. In addition to our own capital, we are backed by a number of family investment offices of high net worth individuals and a few select institutional investors who share our vision and our values. To date, Clavis has deployed over $200 million of its available capital across its various investments. Todd Dauphinais is the founding principal and Managing Partner of Clavis, responsible for overseeing all aspects of the firm's investment, operational and fundraising activities. Over the course of his career, he has completed over 25 transactions representing more than $1 billion of capital deployed. He has also held senior operating and strategic roles in manufacturing and industrial companies throughout his career. Prior to starting Clavis, Todd was responsible for the North American operations of a large European-based corporate investment fund. 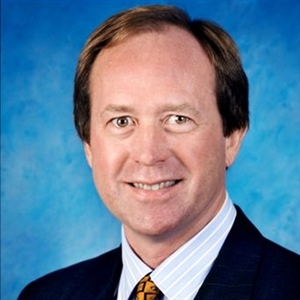 Previously, Todd served as the Chief Executive Officer of EFI Electronics, an industry-leading manufacturer of electrical protection and power quality products, where he led his firm to record revenues and profitability for four straight years and was awarded the prestigious Shingo Prize for manufacturing. Before EFI, Todd served in various strategic and operating roles at leading firms such as Schneider Electric and Rockwell Automation. He started his career as a strategy and M&A consultant with Deloitte Consulting, focused on advising Fortune 500 clients in the electric and gas utility sector. Todd received his MBA with honors from the University of Notre Dame and received his B.B.A. from Texas A&M University. He is an active member of the Young Presidents’ Organization, the Association for Corporate Growth, the National Association of Corporate Directors, and various charity, faith and angel investing organizations in the Dallas area. 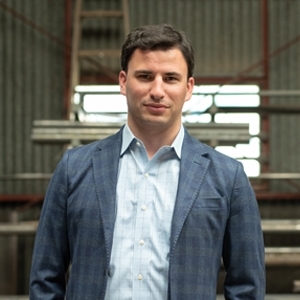 Patrick Hamner is an entrepreneur and Vice President at Clavis, responsible for the firms’ due diligence, financial analysis, target screening and operational activities. He also oversees portfolio company management and financial reporting and is involved with deal origination and fundraising activities. Before joining Clavis, Patrick worked at TravisWolff where he helped launch TravisWolff Corporate Finance, an investment banking division, and performed various other business, transaction advisory and audit roles. Patrick holds a B.B.A. in accounting and finance from Baylor University, where he launched and successfully ran a food service business while attending college. He is an active member of the DFW Private Equity Forum, a program committee member for the Young Professionals group of the Dallas chapter of the Association of Corporate Growth, and sits on the corporate committee for the Dallas Symphony Orchestra and various faith and charitable organizations. Patrick holds both CPA and CMA designations and is currently pursuing his MBA degree from the University of Texas. Jimmy Watson is a Director at Clavis and is responsible for various business development and portfolio operations activities. Prior to joining Clavis, Jimmy was a Senior Financial Analyst with Demilec, USA, a Sun Capital portfolio company. Previously, Jimmy spent four years as a management consultant with Ernst & Young and Riveron Consulting focused on advising manufacturing and related clients in M&A integration, process improvement and financial planning and analysis disciplines. Jimmy began his career at Raytheon and served in various finance and cost accounting roles. Jimmy is pursuing his MBA from Southern Methodist University and he received his B.S. in international business from the University of Arkansas. He is an active supporter of The Salvation Army and is a member of several community organizations. Jim Collet is an Operating Partner at Clavis responsible for working directly with the portfolio company executive teams to achieve operational, strategic and investment objectives. Prior to joining Clavis, Jim was the Managing Director and Co-Chief Investment officer for HFI, the family office for the Kenneth A. Hersh family. 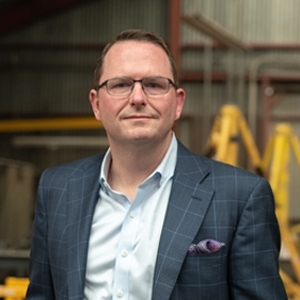 Previously, Jim held the position of Chief Executive Officer / President of a number of institutional backed manufacturing and industrial service companies in a variety of industries including energy services, metal fabrication, plastic injection molding and store fixture and point of purchase display. Jim spent the initial 10 years of his career in the investment banking business holding senior positions with Samco Capital Markets and Ernst & Young LLP. Jim serves on a number of for-profit and non-profit Boards including ASD Therapy Solutions, LLC, ARP AIS, LP, Alliance Tank Services, Green Square Capital, LLC and serves as a senior Board advisor to RK Supply. Jim is an active member of the Young Presidents Organization and served on the International Board of Directors from 2007-2010 and on the International Board for the World Presidents Organization from 2014-2016. Jim holds B.B.A. and MBA degrees, with distinction, from Southern Methodist University in Dallas, Texas.